As a nutrient-dense food, the avocado is a significant source of various vitamins and minerals. Avocados provide your body with almost 20 vitamins, minerals and phytonutrients. This green fruit can be eaten with sweet potato, spinach, carrots and mango to help boost vitamin A absorption. 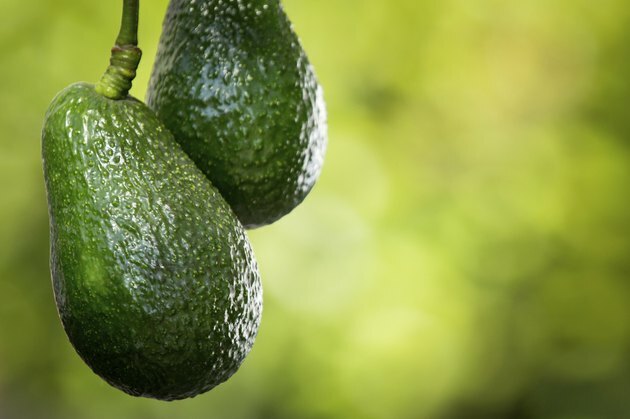 One whole avocado is about five ounces and contains five servings of the fruit. A whole avocado contains about 260 calories and 207 of those calories are from total fat, the majority of which is monounsaturated, or "healthy" fat. Another 52 calories come from the 13 grams of total carbohydrates. Of the remaining few calories, fewer than 5 percent of the total calorie distribution, are from protein.